Have you ever thought to yourself, “Why is there not a manual to life?” Well, there is. 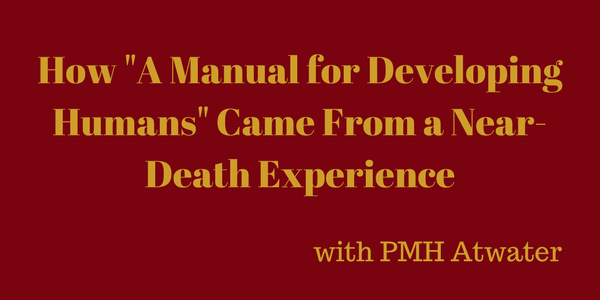 My guest today, PMH Atwater, received this manual during a near-death experience. This wasn’t just any near-death experience either… it was her THIRD in a month’s time. She’ll be sharing with us how she received “A Manual for Developing Humans” and what she’s been able to do with it ever since. She has several exciting things on her website that she’ll be sharing, including her free monthly newsletter that she claims is “definitely for the curious.” You don’t want to miss this exciting show!